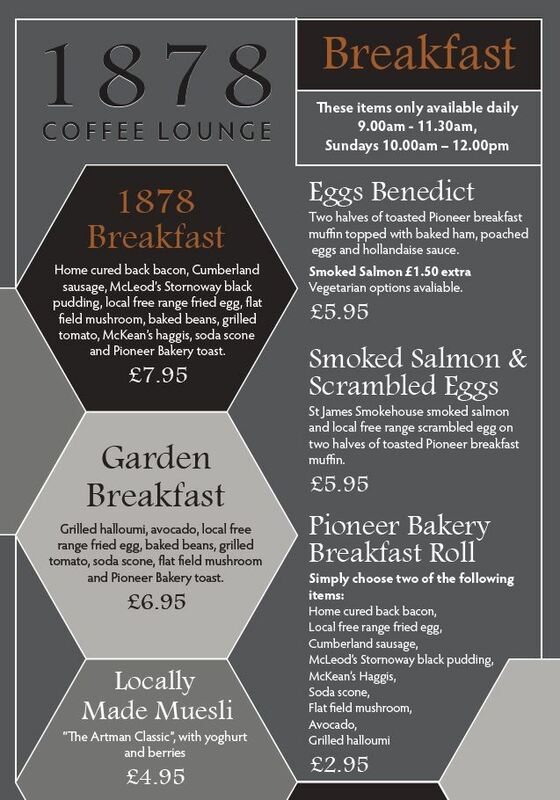 You will find our 1878 Coffee Lounge upstairs in our foodstore at Rosehill Estate, Carlisle. 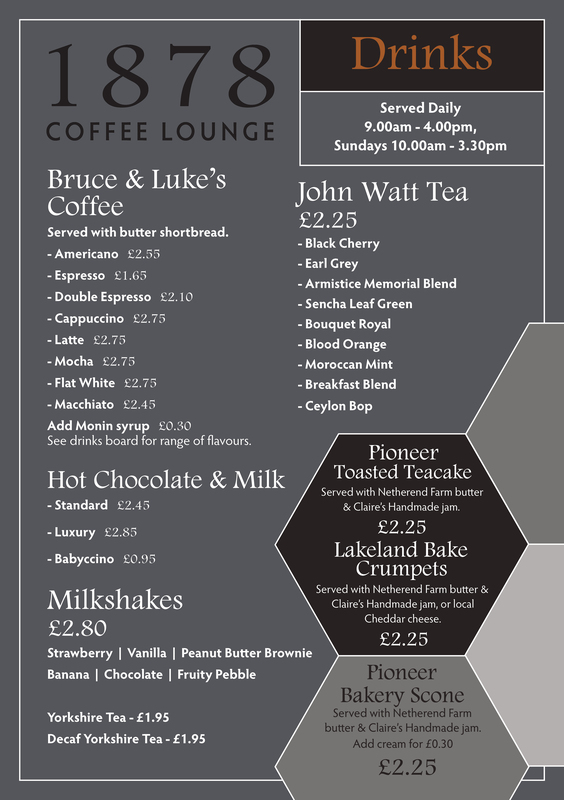 Sit, relax and enjoy refreshments, freshly made snacks and indulgent cakes in the comfort of our coffee lounge. Our head chef, Ian, and his team are always working hard to create the best possible food for you to enjoy. Look out for our Chef’s Specials brought to you daily! 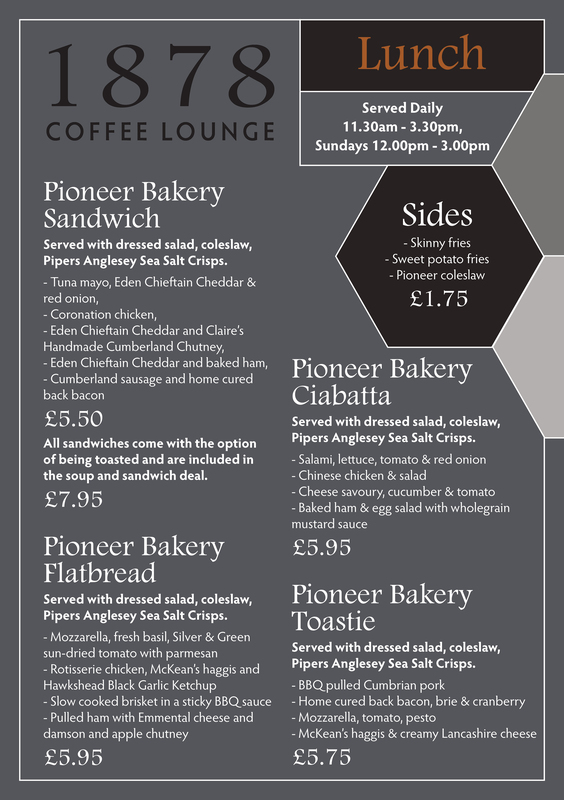 Our freshly made sandwiches are created from handmade bread which is crafted by our team of specialised bakers. 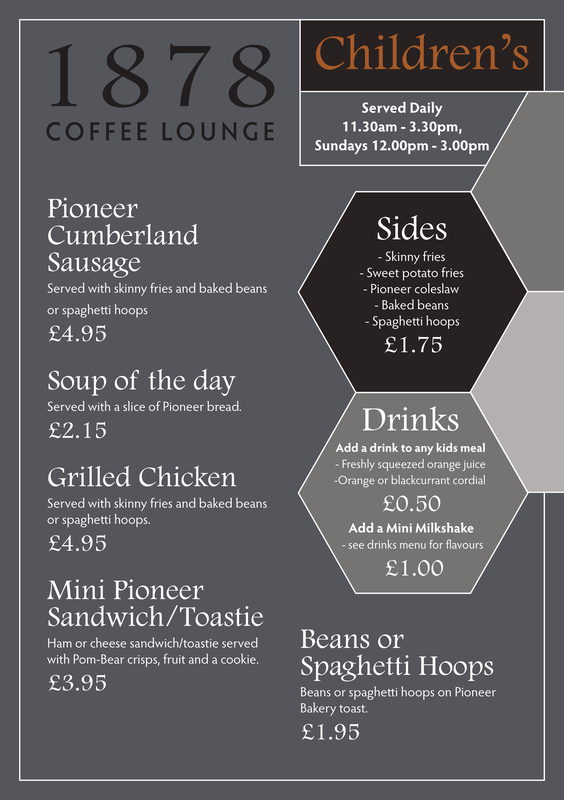 Our Cumberland sausage is made to our own award-winning recipe. Enjoy our quiches made in-store too. 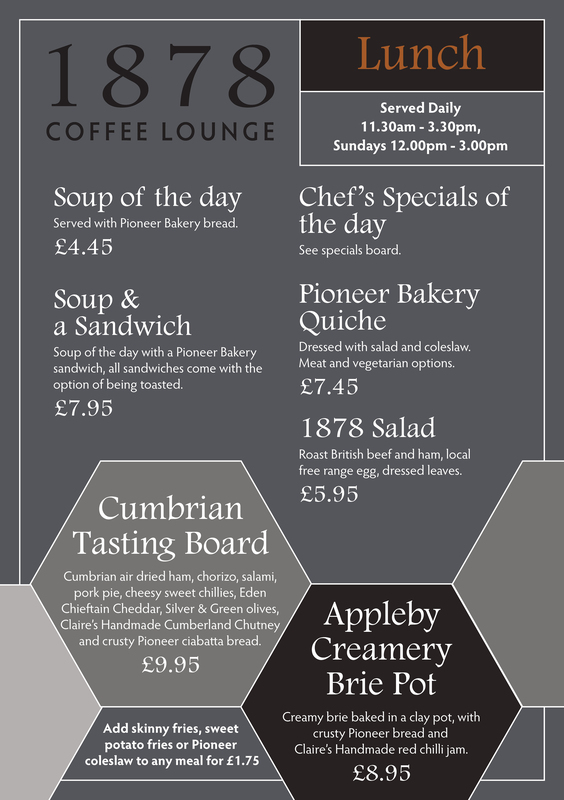 We also bring you a wide range quality produce from many regional suppliers; including Bruce & Luke’s Coffee, John Watt’s tea, Fentimans soft drinks, Molly Rose lemonade and cheese from Appleby Creamery. If you have any questions about allergens or have any dietary requirements, just ask a member of our friendly staff. 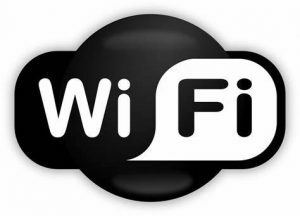 Take advantage of our free Wifi, plus you can charge your phone or laptop while you work or play!